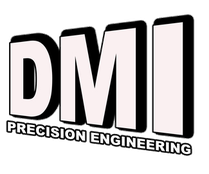 Dmi precision engineering offer a wide range of engineering services. This enables us to offer a one stop single source supplier for all your precision engineered work. With over 38 years experience we offer quality performance, on time delivery, capacity scheduling, fast turnarounds, flexible attitudes. All of our services are done in house but in certain circumstances we sub contract specialized work. Our suppliers are some of the most professional leaders in their field and we have combined a competitive price without a compromise in quality. We can produce most parts from a wide range of materials from inconel 718 one of the hardest materials to engineer to Aluminium, Hastalloy, Titanium, Cobalt alloys and Engineering plastics and our machines can handle products up to a diameter of 12 inch and a total length of 1m. We can also produce larger components that comprise of several sections designed to customers specifications. We pride ourselves in being able to machine these wide range of materials and have the skills in-house along with the tooling to tackle any project. DMI Engineering have a variety of CNC lathes, to include platten type lathes, with fixed tools, live tools, front and back working tools to allow for precision rapid production of mill turn / turned parts. Handling capabilities of round and hexagonal bar from 3mm diameter to 42mm diameter and in a variety of material to include aluminium, steel, stainless steel, brass, copper, inconel, titanium, elkonite and specialised alloys as well as plastics such as nylon, peek plastics and tuffnol. 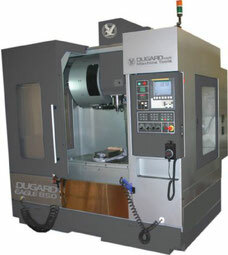 Applications include components for oil and gas, automotive and aerospace industries and precision general engineering. Engraving products helps our clients instantly keep check of who, where and when the product came from. We engrave our products when required to help our clients keep control of stock and batch shipment throughout their lifecycles. DMI Precision Engineering have a high degree of quality procedures in place at every stage of the production lifecycle this helps reduce any wastage or downtime with products and allows us to catch and maintain a first class quality inspection process for our customers. DMI continue to invest in new technologies and greener solutions for our manufacturing plants. 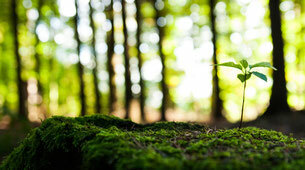 This year we are working towards our new ISO 14001 award. We have already taken steps for a greener working environment with the introduction of an environmental policy which has seen vast reductions in waste materials throughout the company. you can download our policy below.